Está a nevar em Hudson Bay Mountain ?Obrigado! Hudson Bay Mountain offers champagne powder, consistent snow conditions, short lift lines and affordable rates. 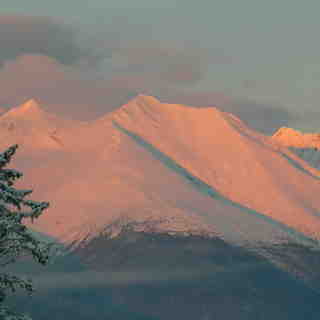 Off the slopes you will find ski-in/ski-out accommodations at the Sidewinder Inn Guest House. The Hudson Bay Lodge is located in town and offers a free shuttle service to the ski field. There are also a variety of inns, lodges, and hotels within driving distance of the ski area. Great snow when it comes, although it does not come every year to the degree it does in Terrace-due West, as the crow flies. 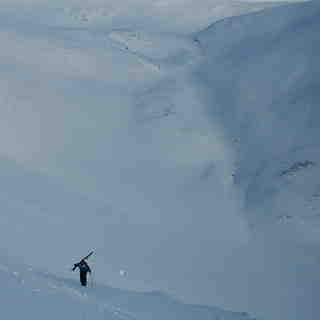 Powder quality is always good but off-piste gets skied out quickly. Tree runs are far too tightly spaced to qualify as true free-ride terrain. 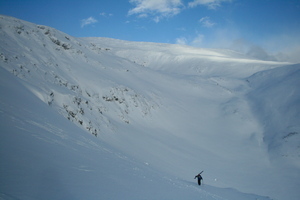 The black runs are a dog's breakfast of moguls that of course are not maintained. The fall line is good everywhere. Lineups are rare. Other mountains in Southern BC present better value, for sure, but having said that the area also boasts numerous back-country options.The resort is not a resort, it's a large community hill without the acreage to call itself a resort. If the original owners had the vision to properly glade the chair side over a 20 year period with properly spaced tree skiing then the hill would probably be considered a minor classic. 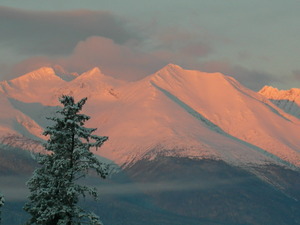 The Bulkley Valley is a great area to ski overall.